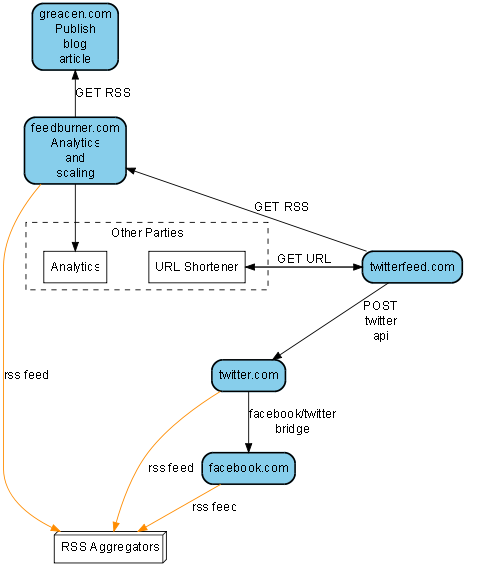 Following on the microsyndication theme I mentioned earlier, I decided to map out the events that take place when I put a new post onto this blog. updates my status on facebook.com. The nice part about this setup is that it's all automatic: the only action I take is posting my idea onto my site. The feeds take it the rest of the way. This is different from my surf report post. The surf report is the content, whereas with a blog post, my site holds the real content. The RSS feeds publish a pointer to the original content. Digsby is a multi-im client along the lines of Trillian, Pidgin, and the Meebo. 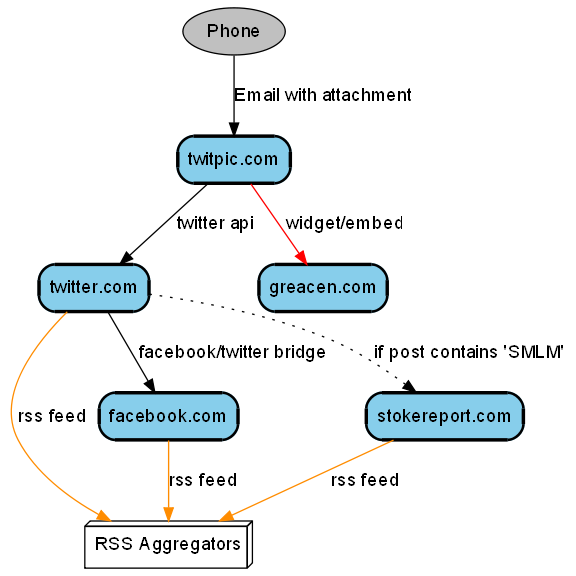 Use Digsby to organize your IM chatter. Through a single application/interface, you can ping all your friends on the big IM services (AIM, YIM, MSN, GTalk, ICQ, Jabber). They kick it up a few notches by supporting Twitter, Facebook, and MySpace social services. They kick it up another notch by supporting email as well: gmail, ymail, msnmail, pop, imap accounts. Updates and notifications from all these services arrive on the desktop in bubbly status messages that appear even if Digsby is minimized. You can even reply to a message by typing in the status bubble. I love the way this blurs the boundaries between all these communication channels. A message could arrive from a person (who cares how it got here), my reply bounces back through the same channel. Here's another way Digsby is pushing envelopes with their service. A few clicks will let you set up a widget that you can embed in your various web-hangouts, blogs, facebook account, etc. Digsby does a stellar job of running their project with transparency and input from their users. They've managed to build a close relationship with an active user community by using all the social resources available. They go far beyond the requisite blog (even if they brag about the strange bugs that turn up in their public testing cycles). Users have a channel to reach Digsby via twitter, to get involved with an active developer community (also on twitter incidentally). The steady drumbeat of prioritization from regular public roadmap polls has kept Digsby on track to satisfy users. On top of all this, they've built in a great alert/warning system that lets folks at digsbyhq push status message out to all users ('twitter is having trouble today'). Kudos to their team involved with support and outreach. If I were running a customer-facing service, I'd likely use Digsby to manage the customer contacts. I wonder if they're eating their own dogfood over there at digsbyhq? There are a few caveats of course. Because what software is perfect? 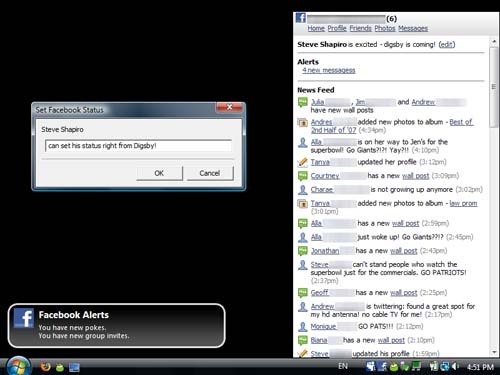 Digsby does not yet support IRC or Skype chats. As far as I can see, the multi or 'room' chat features aren't supported on any of the IM services. All of these features are on their roadmap. Digsby is ready for primetime and worth a try. I started putting notes onto this blog about 6 months ago. From where I sit: so far, so good. I've found some fun topics to play with. A few posts have even gotten some attention (visits). The greacen zone runs on the netscrap.com publishing system. Netscrap has a few hundred posts already, thus the high numbers. The fruit blog also runs on this jalopey. What's the publishing system? If you've been reading, you already know that it's heart and soul is zombie technology. The netcrap.com publishing system is buggy, but it's super- efficient. Check out this month's netscrap.com comscore numbers if you doubt. Where's this going? No idea. Isn't that exciting? Just like several of the startups I've worked for. At this point I'm considering tossing the publishing platform's core onto google code under the MSL just like I did with bashWebTest. anyone interested in a platform like this? I suspect not. Correct me. what would a good codename or project name be? "NetScrap" might even work. Or "The NetScrap Platform" or "The NetScrap Thing"
anyone have a better way of handling urls with zombie technology? I looked around a little bit, but couldn't find anything useful. I'm familiar with mapping scripts to 404 actions... I may take a stab at this during some lull. Syndication experiments have been fun: thanks for all the facebook clickthroughs. I'll probably work some more involved rss-streaming into this thing. 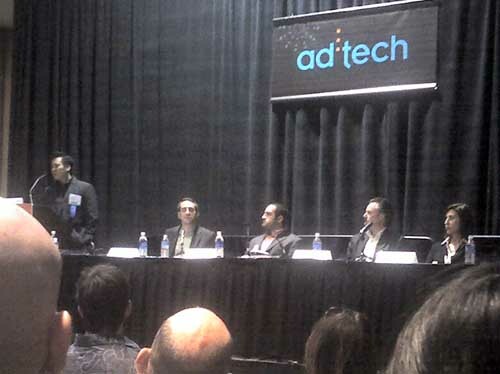 Just caught an interesting panel discussion on 'widgets and gadgets' at AdTech. Jeremiah Owyang moderated the panel, here are a few comments. But not all widgets are successful! How many Facebook widgets have business utility? Success metrics are tricky to identify. Treat it as a web channel. Challenge: it's a new medium. Old approaches don't always apply. what do you want to get out of your application? Yes, the net is bigger than your site. Get your brand out there. Success depends on how you define it: reach, interactivity, installs, active users on some regular interval. Examples: Trip Advisor's map.. NYTimes quiz. Branded show & tell about the user. Success is: something that provides value. we can report on views, can't report on perceived value. FREE: tag your widget in a certain way and we'll report on it. It only works if people like what you're doing. You need to see the viral usage which happens when simple useful things are found valuable. low barrier to entry: try things out! Folks agree that valuable widgets tended to be successful, but couldn't really describe anything specific about what tends to constitute value. Seems also like these folks are struggling to define ways to measure the elusive 'engagement' metric that folks have been writing about recently.